Cambolive will help drive Renault's expansion into emerging markets such as India, Iran and North Africa. PARIS -- Renault named Fabrice Cambolive as head of the automaker's operations in Africa, the Middle East and India, replacing Bernard Cambier, who has held the post since 2014. Cambolive, who is currently CEO of Renault of Brazil, will assume his new position on July 1. He will also join the company's management committee. 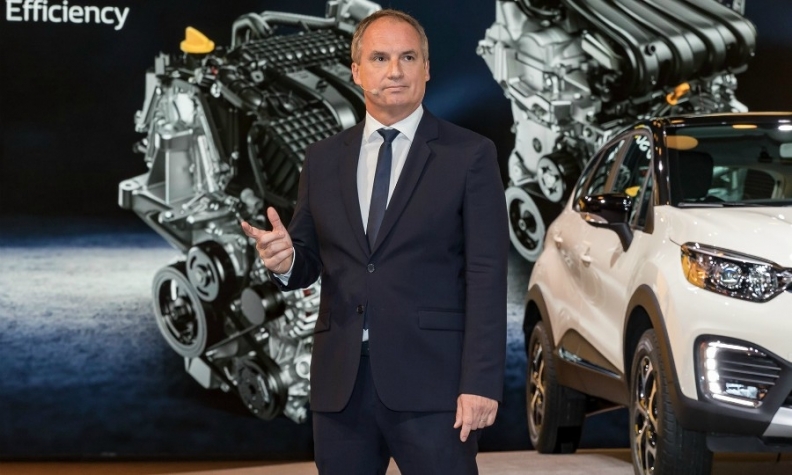 Cambier, who has held a variety of management posts since joining Renault in 1979, will be leaving the company, the automaker said in a statement. The region that Cambolive will lead -- known internally as AMI -- is Renault's second-largest in terms of sales, with 491,151 vehicles sold in 2016, Renault said. The company has had notable success in India, becoming the leading European brand by sales, led by the Kwid subcompact crossover. In Iran, Renault gained 3.7 points in market share last year, to 8.4 percent, which the company attributed to the success of the Sandero subcompact hatchback and Tondar sedan. It is also investing in production facilities with a goal of reaching an annual capacity of 350,000 vehicles. North Africa has long been a stronghold for the company, where it holds 38.5 percent of the automobile market. Renault has two factories in Morocco, including the region's largest near Tangiers, and has opened a plant in Algeria. Last year it announced an investment of 1 billion euros with partners to increase local production of components in Morocco. In his new post, Cambolive will report to Stefan Mueller, Renault's chief performance officer. Cambolive, who was born in 1967, joined Renault in 1992 and held sales and marketing positions in France, Germany, Spain, Switzerland and France. In 2009 he was appointed general manager of Renault Dacia and Nissan commercial in Romania and in 2011 was promoted to vice president, sales and marketing for Russia and Eurasia. He took over the Brazil operations in 2015. Under his watch, Renault's market share reached a high of 7.5 percent in 2016 with a total of 63,235 passenger cars and light commercial vehicles sold, though the overall Brazilian market has fallen by half since 2012 during a deep recession. Cambier's management posts at Renault included vice president, corporate sales; vice president, parts and accessories; and senior vice president, market area France. He joined the management committee in 2008.